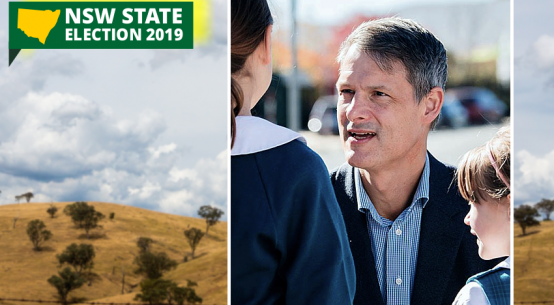 NEW NSW OPPOSITION leader Michael Daley wasted no time before visiting the regions and stopped in Queanbeyan on a stormy Wednesday at the end of November. He was accompanied by Monaro Labor candidate Bryce Wilson. The Labor mood was equally stormy — targeted at the Berejiklian-Barilaro Government’s plans to knock down and rebuild two Sydney stadiums at great taxpayer expense, starting with the Sydney Football Stadium in early January. 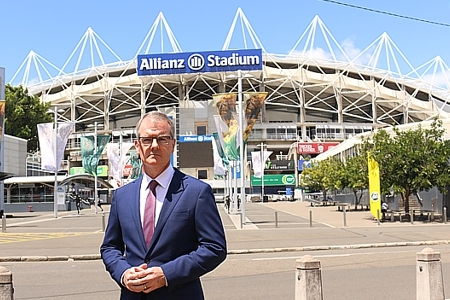 Four months from the state election Daley is demanding that the Sydney Cricket Ground Trust and the Berejiklian Government halt demolition of the football stadium. Daley has promised that if Labor is elected on March 23, public funds will not go towards the stadium project, making a clear choice. 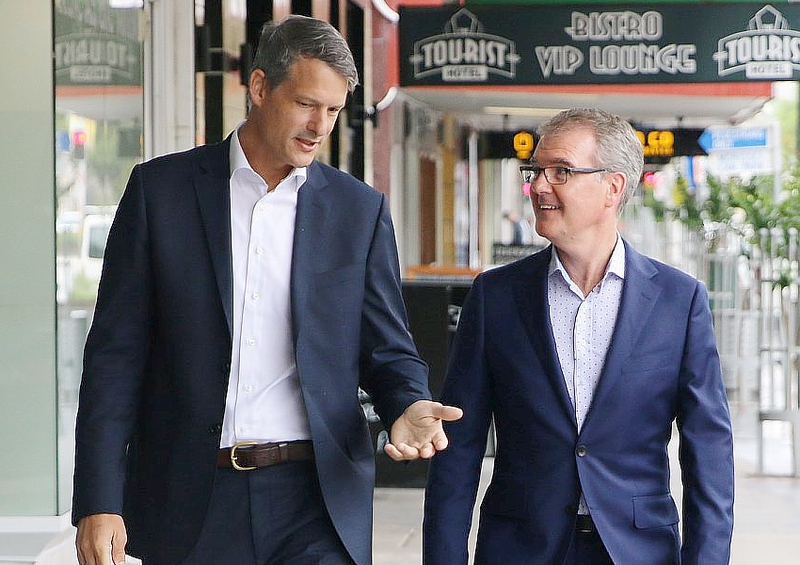 He said “if you want perfectly good stadiums knocked down and rebuilt — vote for the Liberals and Nationals. If you want new schools and classrooms, more nurses and health professionals in our hospitals — vote for Labor”. As it stands, “this is $2.5 billion that will not be spent on air-conditioning in schools, neo natal care in hospitals or getting the schools maintenance backlog down because it is being spent on stadiums”. He said the decision not to offer to continue rebuilding stadiums if elected “may be an unpopular one in the eyes of the corporates and their mates. But it is the right one. No one in rural or regional wants these stadiums, yet John Barilaro is 100 percent backing them in; he even urged his colleagues to back it in. The barely explained stadium project, (why are they doing this? ), is providing the Opposition with a ready-made comparison between non-essential special development deals and the bread and butter government essentials promised by Labor. The stadiums controversy also reminds voters of all the public asset sales that have occurred under the Baird then Berejiklian Coalition government, with the dollars earned poured into more Sydney road projects. However, Daley said, major Sydney road and transport projects are still suffering more than $10 billion in cost blowouts — for WestConnex, the Sydney Gateway and the Sydney Light Rail. 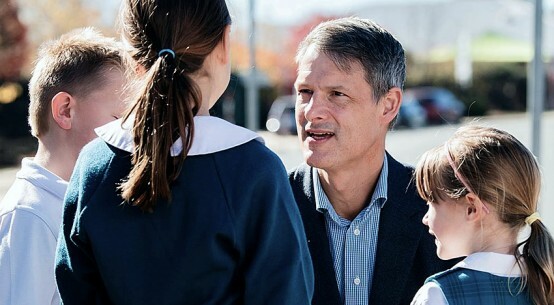 Monaro Labor candidate Bryce Wilson challenges the local member and National Party leader on this issue as well as others: “John Barilaro and Gladys Berejiklian need to let all the people of NSW have their say on this multi-billion stadiums extravaganza.” He agrees people in the regions want taxpayer dollars to go to fund schools and hospitals before they are spent on stadiums in Sydney.